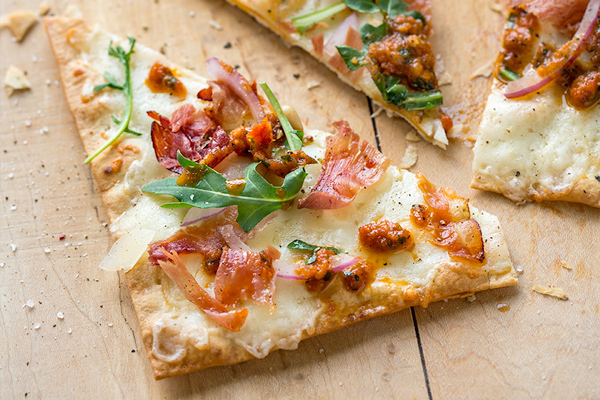 This flatbread pizza is deliciously thin and crispy, and prepared with lots of fresh toppings for a light and flavorful take on pizza! I appreciate the fact that whenever we get a craving for this tasty little treat, with its crisp crust and flavorful toppings, I can easily whip it up at home. And homemade means we get a lot more of it to enjoy, even save a few bucks! Flatbread pizza is truly all about keeping things “light” so that it can easily be cut into small wedges or rectangles, and enjoyed as an elegant little appetizer before a meal, something to whet the appetite. So where the more traditional pizzas can be a bit on the heavy side and start to really fill you up after a couple slices, a flatbread pizza will let you pair it with a hearty salad and perhaps even a few more goodies. A tasty flatbread pizza recipe is all about packing lots of flavor onto a very thin, almost cracker-like vessel, and actually requires very little time in the oven. So for my crust, I use lavash. Lavash is a Middle Eastern-style of flatbread, thin and rectangular, that crisps quickly in the oven for a few minutes before being topped. I love the fact that there is no monkeying around with the preparation of a dough—no need to knead. I simply like to infuse the lavash with some flavor by brushing it with a garlic-infused olive oil before crisping it in the oven and topping! And because the lavash is so thin and crisp, the ingredients are meant to be super light and delicate as well. Using just a little sprinkle of whole-milk mozzarella does the trick here, as does some crisp prosciutto, shaved parmesan and arugula, along with a simple homemade sun-dried tomato chutney to drizzle over top for an extra pop of flavor and color. To begin, I prepare my quick sun-dried tomato chutney, crisp and chop my prosciutto, and prep a couple of other topping ingredients. For the lavash, I brush one side of each of it with my garlic-olive oil mixture, then crisp in a 400° oven for about 6 minutes. When the lavash is done, I remove it from the oven, flip it, and top with some mozzarella; then, I bake a couple minutes more just until the cheese is melted. 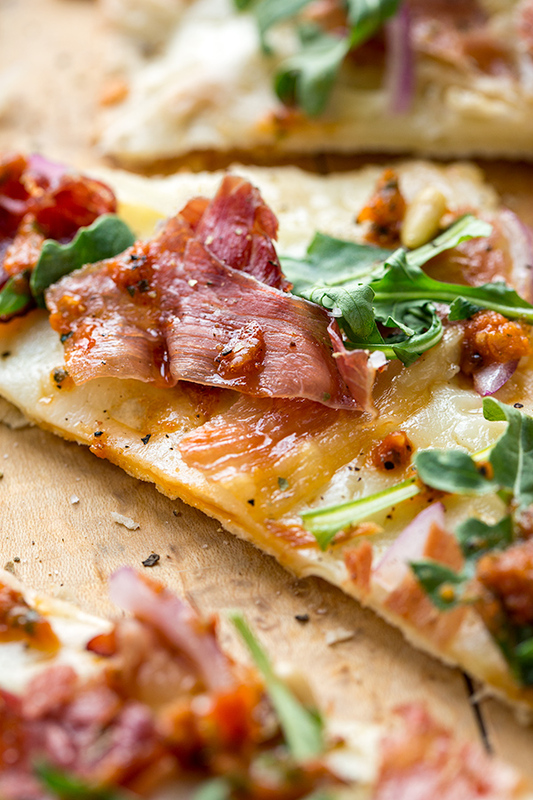 I finish the flatbread pizza by adding a sprinkle of arugula, some shaved parmesan, some thinly sliced red onion, some of the crispy prosciutto, and a drizzle of the sun-dried tomato chutney. Before serving, I cut the pizza into wedges.! 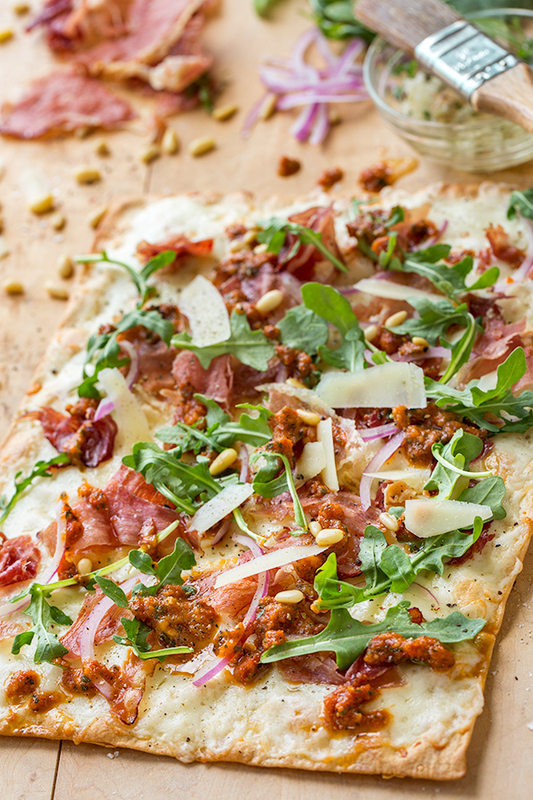 This flatbread pizza is thin, crispy, and loaded with flavor from toppings like prosciutto, arugula and shaved parmesan, ready in no-time flat! -To prepare the chutney: place all ingredients except for the olive oil into the bowl of a food processor, and process until a paste-like consistency; with the processor running, slowly drizzle in the oil until everything is emulsified; use immediately, or keep in a covered container in fridge. -To prepare the flatbread pizzas: preheat the oven to 400°, and line a large (or two smaller) baking sheets with foil. -Combine about 2 tablespoons of the olive oil with the pressed garlic, and brush one side of each lavash bread with the mixture; place the lavash, oil-side up, onto the baking sheet and bake for 6 minutes, just until it begins to become crisp. -Remove from oven, flip the lavash over onto the other side, and sprinkle that side with equal amounts of the grated mozzarella cheese; place back into the oven to bake for about 5 minutes, or until the sides of the lavash are golden-brown and crispy, and the cheese is melted. 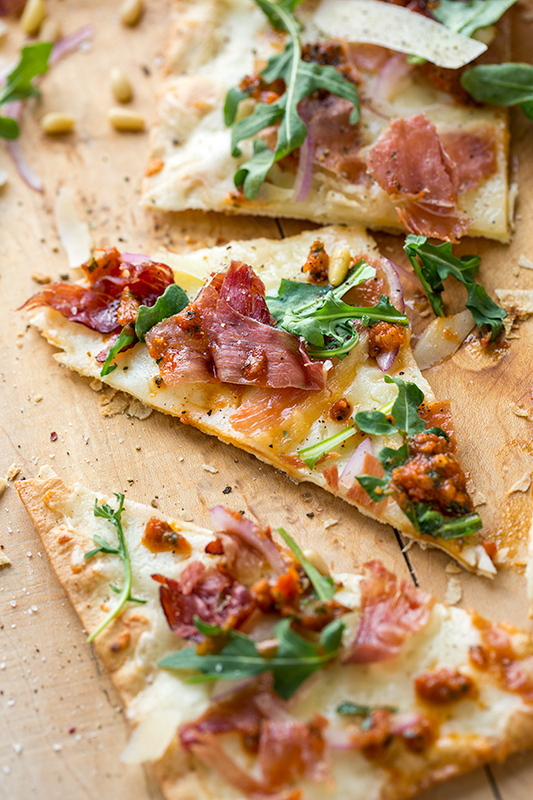 -Finish the pizzas by sprinkling on the crispy prosciutto, then some of the arugula and thinly sliced red onion, and by drizzling on some of the sun-dried tomato chutney; finish with a bit of shaved parmesan, and cut the pizzas into wedges or squares, and serve hot or room temp. Lavash for a thin, delicate crust: Keeping this flatbread pizza light and quick to prepare is the goal, and using lavash bread (or wraps) does the trick. You can typically find lavash where you would find pita bread, large tortillas, or other specialty “wrap” items. Keeping the toppings light: Because crisp lavash can’t hold too heavy a load of toppings, I like to keep things light and airy, so to speak. Don’t get too heavy-handed with the amount of toppings, rather better to go less but more flavorful! 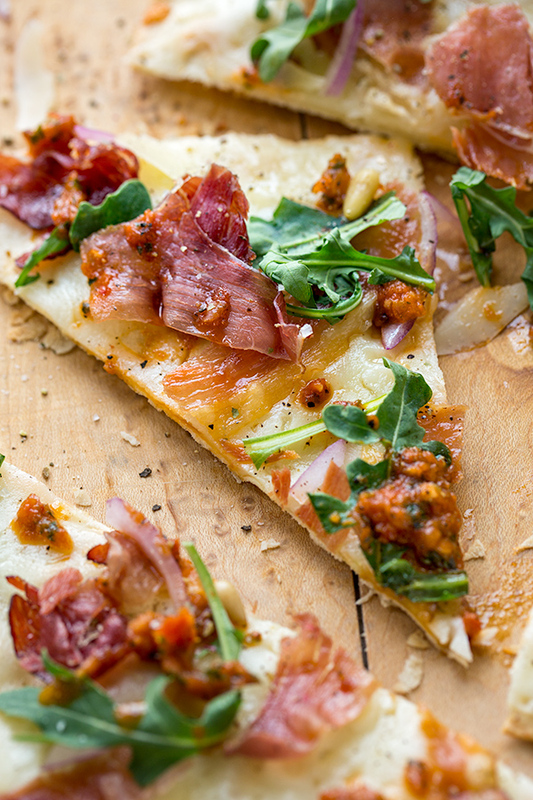 Arugula and prosciutto, the perfect match: I like a bit of peppery greens as a topping on a flatbread pizza, so I opt for arugula with this recipe. And because a hint of smokey savoriness is also really nice, I go with some prosciutto that I crisp in a hot pan and chop up, as that partners well with the arugula. A couple of cheeses: A little layer of melted mozzarella is delicious on flatbread pizza, so that goes on first; and a great, pungent finisher is shaved parmesan. Sun-dried tomato chutney, or store-bought pesto: My little recipe for the sun-dried tomato chutney is really easy and has a little tangy-sweetness, but you can certainly substitute store-bought pesto. Hungry for more tasty appetizers? Check out this Caprese Garlic Toast, these Thai Nachos, these Chicken Lettuce Wraps, or this Artichoke Dip! 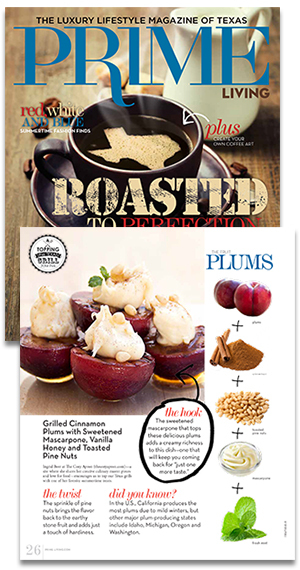 Cook’s Note: This recipe was originally published in 2016, and has been updated with even more love! Loved this. 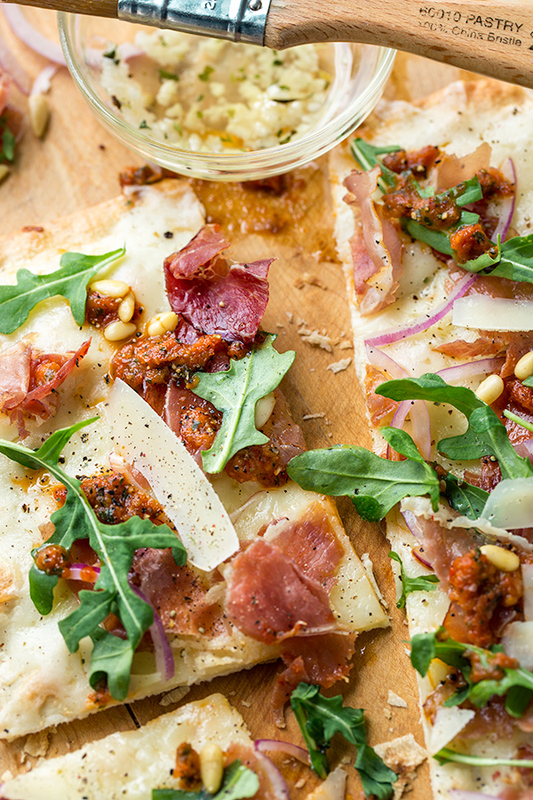 It’s our go to flatbread recipe from now on. Kim, I’m so honored to read that. Glad you enjoyed! This was delicious, thanks for sharing! Your blog is really well-written. 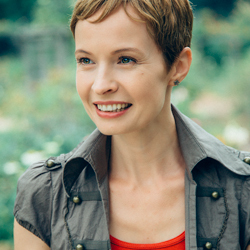 Hi Lela, thanks so much! So glad you enjoyed. I can’t wait to make this. The lavash bread at Trader Joes has always caught my eye I just never knew how to use it. Flatbread pizzas in the restaurant can be a bit pricey, I now have the option to make these delicious pizza’s at home now for a feaction of the cost. Thank you for another amazing recipe. I enjoy your blog so much. Hi Angela, what a kind comment! So glad to read you enjoy our site. Yes, the Trader Joe’s lavash is perfect for this. I really hope you enjoy these as much as we do!